These activity pages are similar to our coloring pages except they have fun and educational fill in the blank activities on them. This collection corresponds to Year B (Year 2) second Quarter Bible lessons of a three year cycle. This special Teacher's Edition allows you to make copies for certain types of uses. These 13 beautiful Activity pages correspond to the Year B (Year 2) 2nd Quarter lessons. 13 fill in the blank activity pages that are great for older children. YB14 Joash, the Boy King! YB23 An Orphan Becomes Queen! These activity pages are in the .pdf format, the same as is in our free collection of coloring pages, however these are much higher quality and will take a little longer to download. We believe that you will think that the extra quality is worth the wait. The actual downloaded file is in the .zip format and is over 10megs. It is best if you have a highspeed internet connection otherwise it might take a couple of hours or more to download the file. This is a SPECIAL Teacher's Edition that allows you to make copies for certain types of uses. 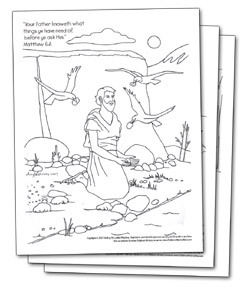 These coloring pages can be used at home or photo copied for your use in your children's church school classes. *Currently our online store is charging shipping for downloaded items, we are working to resolve this issue. In the mean time, you can rest assured that we will not charge your credit card shipping and handling fees for the purchase of this product, even if the shopping cart displays a charge. Thank you for your patience and prayers as we work to resolve this problem.